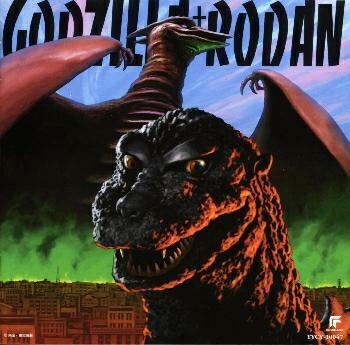 This CD is a collection of Akira Ifukube's Toho film music from the original "Godzilla" and "Rodan" movies. These originals are stereo recordings but it's the kind of fake stereo done similar to the way early 1960's mono rock LP's were rechanneled for stereo. The fake rechanneled stereo doesn't do much for separation but does seem to make the highs a little brighter and gives the lows a little more punch. Except for the title and Akira Ifukube, everything on this CD is written in Japanese. This CD just came out about a month ago so should still be relatively easy to find and somewhat inexpensive. I bought mine from Deodeo for $20.43 including the shipping.